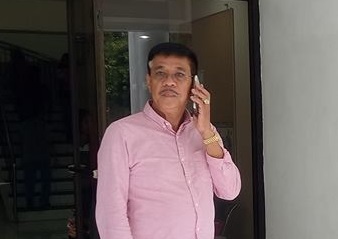 LUCENA CITY – Mulanay mayor Joselito Ojeda and 4 of his department heads are in “hot” water after they were slapped with graft and corruption case by the Office of the Ombudsman. Charged with violations of Section 3(e) of Republic Act 3019 otherwise known as the Anti- Graft and Corrupt Practices Act besides Ojeda are Municipal Engineer Delio de Leon who also chairs the Bids and Awards Committee (BAC); Municipal Planning and Development Coordinator Marissa Cortez; Municipal Budget Officer Noel Eroa; and Revenue Collection Clerk II Marina Palilio who are all members of BAC. The case stemmed from the decision of the municipal government to purchase a unit generator set amounting to P500,000 on February 5, 2013. The complaint against the accused officials was filed by private complainant Crispin Bariata who alleged that they conspired with one another to bring the generator set to Kamhantik Mountain, which is about 6 kilometers away from the poblacion of Mulanay, and that it was used to supply electricity in cases of power outage, to the radio station Katikbak Enterprises, Inc. (KEI) owned and operated by the Ojeda’s family. While being probed by the Field Investigation Bureau- Luzon of the Ombudsman, it was found out that the BAC recommended to the Mayor Ojeda to award the contract to Alta Manpower Corporation (AMC), which was declared as the only eligible bidder despite lack of several technical documents, manpower requirements, delivery schedule and after sales warranty. It was also pointed out that the awarding of the contract to AMC was made without any post- qualification procedure and that the mayor who also heads the procuring entity, instructed Municipal Treasurer Anita Romasanta to prepare and deliver the check to AMC as payment for the generator set prior to its delivery. The Ombudsman in its resolution dated February 6, 2018 said that the BAC members in allowing the opening and evaluation of the financial component submitted by AMC despite its failure to pass the technical component is contrary to provisions implementing R.A. 9184 (Government Procurement Reform Act). The antigraft body pointed out that Ojeda should be indicted likewise because it was his duty as head of the procuring entity to check whether the prescribed bidding rules and procedure had been followed and should have checked the bidding documents during the approval of the BAC recommendation and the signing of the contract. A bail in the amount of P90,000 for each of the accused was recommended by the Ombudsman.